Nyrae Dawn is a compulsive reader and writer who loves YA fiction. 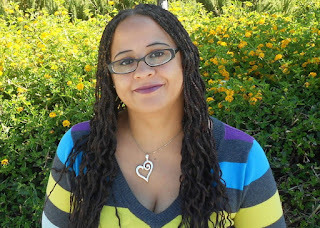 Nyrae Dawn loves nothing more than writing about young adults. There is something so fresh and fun about it. You can pretty much always find Nyrae with a book in her hand or open document in front of her. Nyrae lives in Southern California with my husband and two children. I waited way to long to pick this book up and read it. When I first got it for review I didn't realize it was book #2, then I decided to wait on reading it because I thought it would be hard to follow without the first book being read. Well I was totally wrong and I don't know why I wait so long to read this. I fell in love with the characters and story right away and was roped into the book. I likely could have read it in one sitting if I didn't have other "life" things to do, darn life gets in the way of reading all the time. The story flows pretty well without leaving too many lulls that get the reader bored. I found that the characters could have had more depth but I really could feel for them and really liked the characters. Both Dalaney and Adrian lived with some very dark secrets that haunt them daily. I was getting upset with Dalaney for leading Adrian on and not coming clean about what she knew about him. Little did she know that Adrian had more secrets that she didn't know. I didn't actually see it coming until closer to the end of the story. I found myself wiping tears away from my eyes at the end. I give this a 4.5 out of 5 stars and I look forward to reading more by Nyrea Dawn.